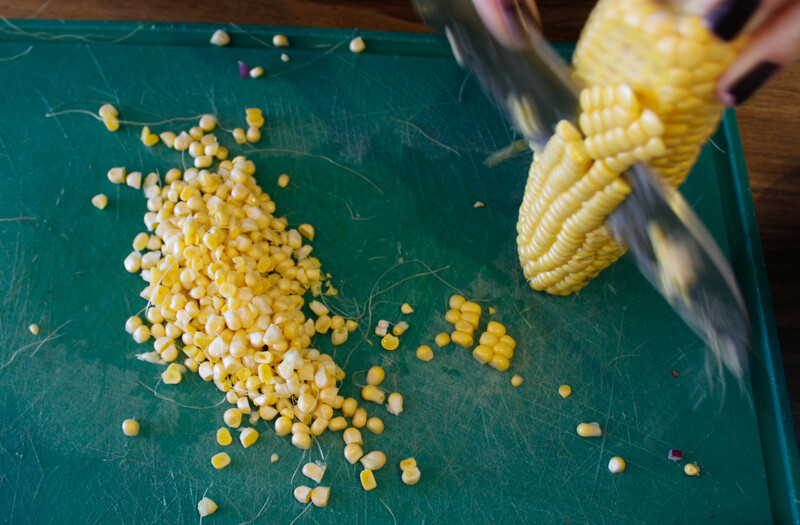 Franco discovered his passion and love for cooking by watching his grandfather cook. He still has fond memories of his grandfather’s delicious barbecue that was grilled for the whole family, while growing up in Mendoza. As a kid, you would always find Franco in the kitchen observing his grandmother and aunt, trying to learn the art of cooking! 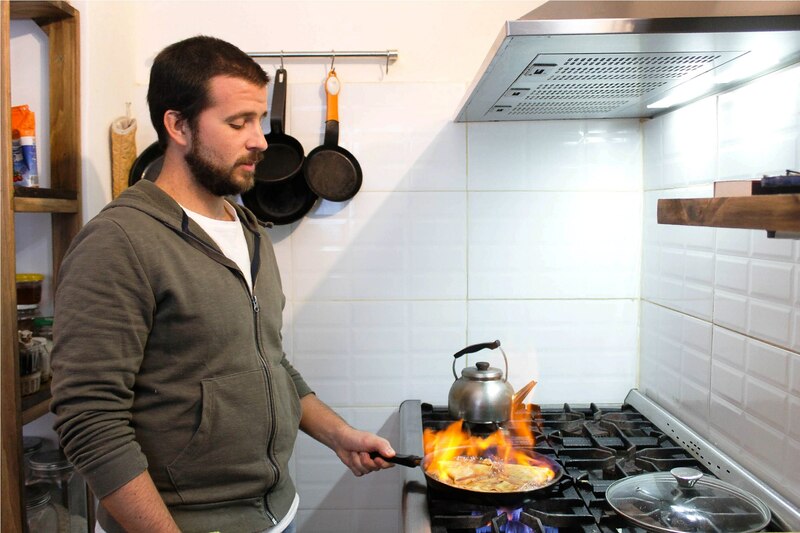 Today Franco is a professional chef and he has dedicated several years working in different kitchens. This only made him realize that teaching people how to cook and sharing his knowledge, is what he truly loves! 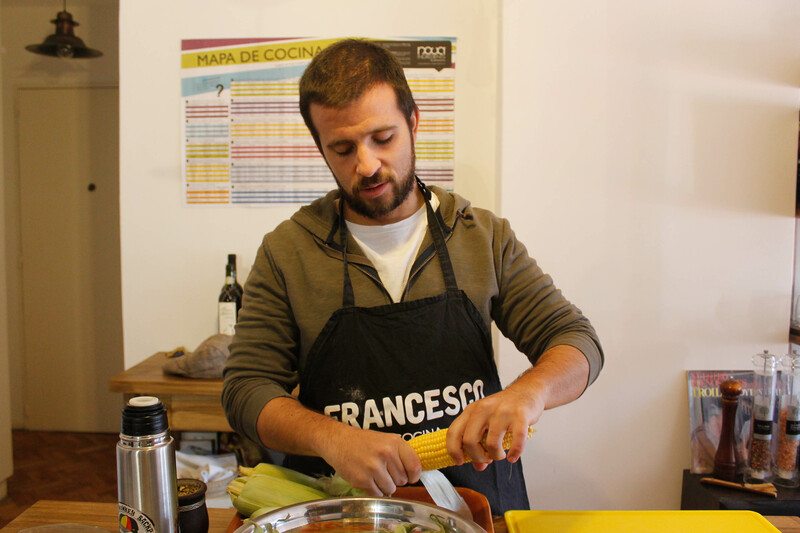 Franco combined this passion for cooking and teaching, to start his own cooking studio. Apart from cooking and teaching, Franco enjoys traveling and his best travel memories are eating and cooking with local people. Franco has a lot of suggestions on non touristy things to do around his city, so don’t forget to ask him! 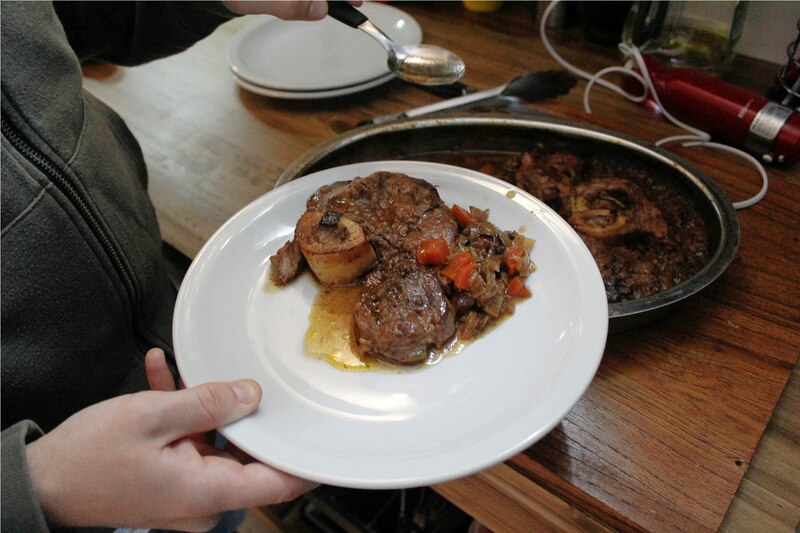 In-home meal: (3-7 guests) Franco’s house is his own cooking studio too. It is beautifully decorated with art giving it a very contemporary style. Franco likes cooking regional dishes from different parts of Argentina. 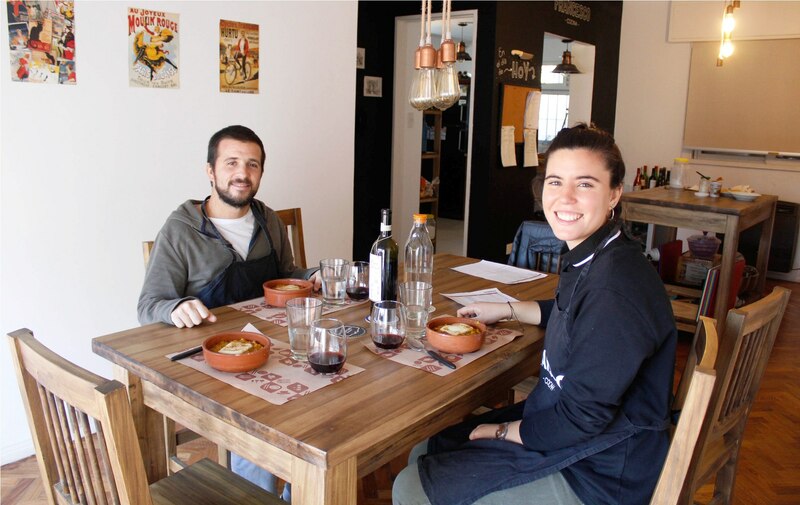 He will welcome you with berenjenas en escabeche (an eggplant marinade) served with sourdough and share more about Argentinean food, culture and history. A few dishes that you might later try at Franco’s dining table are humita (savory steamed fresh corn cakes), locro (a local stew, which is eaten on National holidays such as Independence Day), lentils and braised meat stew, and panqueques flambeados de dulce de leche (pancakes filled with local dulce de leche and burned with rhum), as Franco believes there is always space for something sweet! 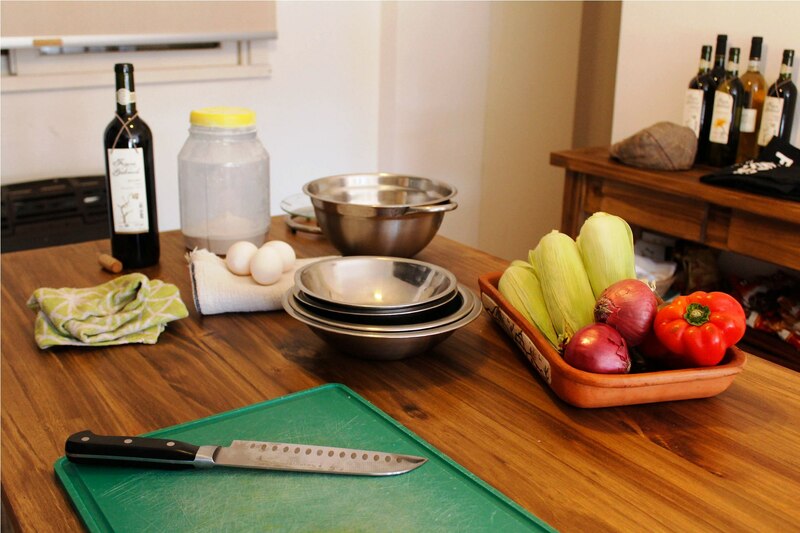 Cooking experience: (3-7 guests) Franco’s two hour cooking class is hands-on and you will learn to make two dishes from scratch. You will first prepare either the locro (a local stew made with corn, pumpkin, beans, meat, sausage, pork and local spices) or a lentil stew with braised ribs. 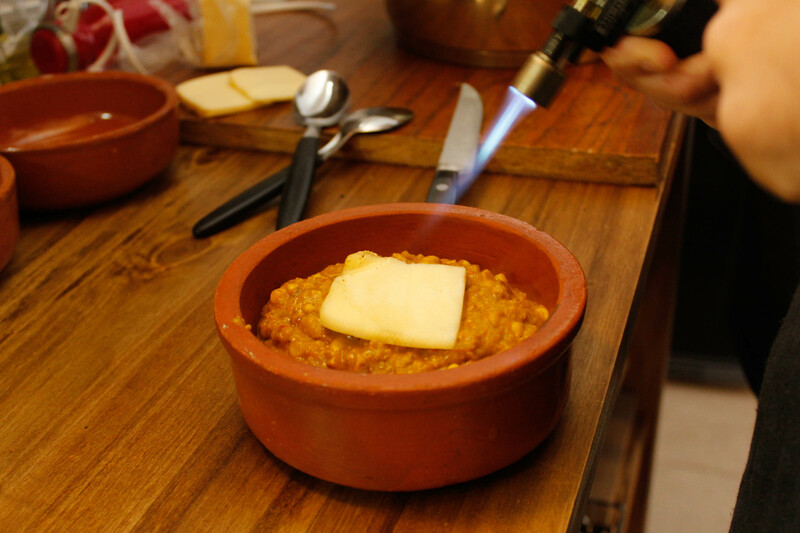 Then you will learn to make humita, a typical local entre from Argentina´s Northern cuisine, made with corn, goat cheese and local spices. 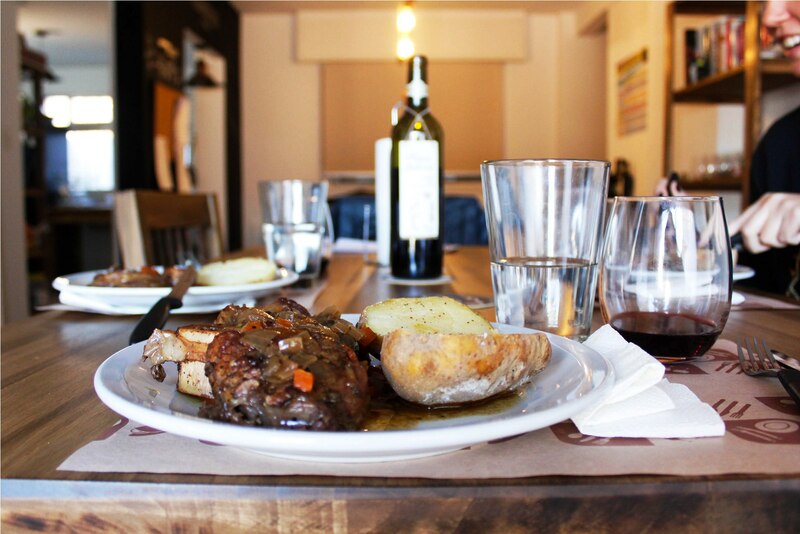 Later you will share the dishes you helped prepare and 1-2 additional dishes that have been pre-prepared, at Franco's dinning table. Market visit: (3-7 guests) Meet Franco at his home before walking to the local neighborhood market for about 10 minutes. Here Franco will take you to his favourite butcher shop, a vegetable market and a spice shop. 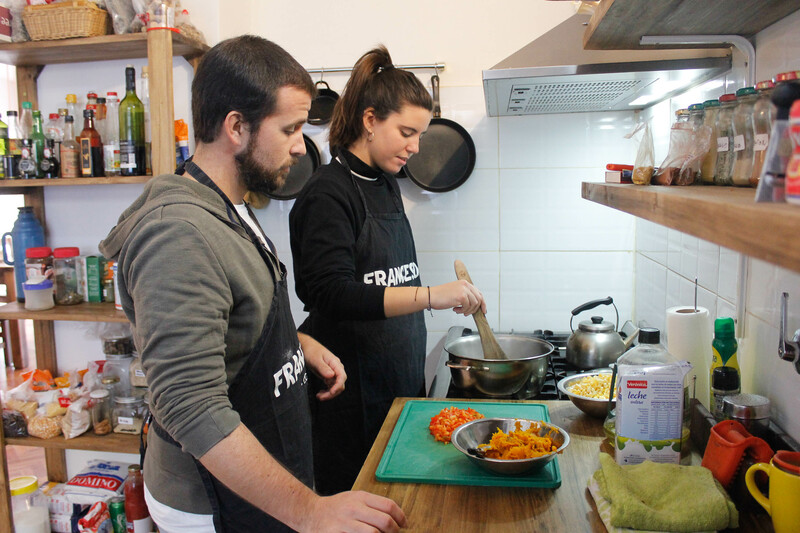 After exploring the market, and shopping for some traditional spices which will be used in the dishes that will be cooked in the class later, you will go back to Franco´s house and start cooking. Notes: Franco can offer vegetarian and gluten free meals on request. 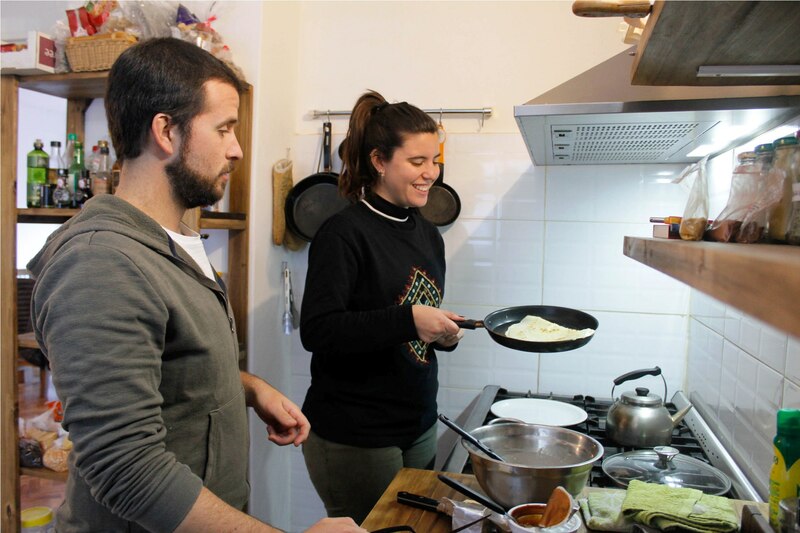 If you like the idea of learning more about Argentinean food and, actually, learning how to prepare it, Franco’s house is the right place for you! He is really passionate about what he does and enjoys it. I was glad to hear and see someone so happy with his own city and country. The osobuco was amazing; he cooked it for several hours. Everything was marvelous, each dish had its own magic and the fact that we prepared it from scratch, makes it even better.